A REALTOR® is a licensed real estate salesperson who belongs to the National Association of REALTORS®, the largest trade group in the country. Every agent is not a REALTOR®, but most are. If you’re unsure, you can ask your agent if they’re a licensed REALTOR®. REALTORS® are held to a higher ethical standard than licensed agents and must adhere to a Code of Ethics. Some REALTORS® are brokers, while some are agents. Unfortunately, people use the term interchangeably: there are some differences. Brokers are usually managers. They run an agency and have agents working under them as salespeople. They might own a real estate brokerage or manage a franchise operation. They must take additional courses and pay additional fees to maintain their state-issued broker license. An agent, on the other hand, is a salesperson selling on behalf of the broker. Agents are also state licensed and must pass a written test before legally acting as a real estate agent. Each state has its own licensing laws and standards. Some states—like Illinois—have eliminated the real estate salesperson license and mandate all agents take additional course work and pass another test to become brokers. They are broker associates still selling under a managing broker. There is a stereotype of the typical REALTOR® that must be dispelled: the stereotypical agent works a few hours a day and makes millions of dollars a year. Reality TV shows perpetuate this myth. On television, buyers find the perfect house after visiting just three homes—and write an offer that is accepted immediately. The next thing you know, they’re moving in! The typical buyer searches with a REALTOR® for about 12 weeks and looks at about 10 properties before selecting a home, according to the National Association of REALTORS®. They then wait about 30 days—on average—or the deal to close. The agent is only paid once the deal closes. If the buyer decides to sign another lease—or not to buy—that agent is not compensated. The same is true of listings. If the listing does not sell, the agent is not paid. The average agent earned $47,700 in 2013, according to the National Association of REALTORS® Member Profile 2014. Selling real estate is a commission-only business. That means an agent can work with a buyer for months without ever making a commission—because deals fall though and not every listing sells. It’s a business run on trust and faith. Also, many people see the commission check at the closing table and have no idea how that money is split. They think their agent walks away with all of it—that’s just not true. Remember, agents work for brokers. The commission check is made payable to the brokerage which then cuts a check to the listing agent and the selling agent. Both agents also must pay a percentage of their earnings to their broker. Generally, agents also are responsible for paying their own federal and state income taxes, social security tax, and health insurance. Categories: Buying, Mortgage, Real Estate Advice | Tags: realtor, why use a realtor | Permalink. Whether you’re becoming a homeowner for the first time or you’re a repeat buyer, buying a house is a financial and emotional decision that requires the experience and support of a team of reliable professionals. In the maze of forms, financing, inspections, marketing, pricing and negotiating, it makes sense to work with professionals who know the community and much more. Those professionals are the local REALTORS® who serve your area. Most first-time buyers need to finance their home purchase, and a consultation with a mortgage lender is a crucial step in the process. Find out how much you can afford before you begin your home search. A quick search on realtor.com® will bring up thousands of homes for sale. Educating yourself on your local market and working with an experienced REALTOR® can help you narrow your priorities and make an informed decision about which home to choose. While no one can know for sure what will happen to housing values, if you choose to buy a home that meets your needs and priorities, you’ll be happy living in it for years to come. The cost of financing your home purchase is usually greater than the price of the home itself (after interest, closing costs and taxes are added). Get as much information as possible regarding your mortgage options and other costs. While much attention is paid to the asking price of a home, a proposal to buy includes both the price and terms. In some cases, terms can represent thousands of dollars in additional value – or additional costs – for buyers. No sensible car owner would drive without insurance, so it figures that no homeowner should be without insurance, either. Real estate insurance protects owners in the event of catastrophe. If something goes wrong, insurance can be the bargain of a lifetime. The closing process, which in different parts of the country is also known as “settlement” or “escrow”, is increasingly computerized and automated. In practice, closings bring together a variety of parties who are part of the real estate transaction. You’ve done it. You’ve looked at properties, made an offer, obtained financing and gone to closing. The home is yours. Is there any more to the home buying process? Whether you’re a first-time buyer or a repeat buyer, you’ll want to take several more steps. Categories: Buying, Mortgage, Real Estate Advice | Permalink. Buying a house is a highly individual decision—and a local one—but current trends are creating a favorable situation for many would-be homeowners. Interest rates are low, employment is rising, home prices—in most markets—are still well below their peaks, and rents are through the roof. Every family and each individual has various factors affecting the ability and the decision to buy a home. If you live in a market where studio apartments are $2,400 per month—while nearby condos sell for $300,000—it might make sense to buy a house instead. Mortgage interest rates are still low—for now. A 30-year-fixed-rate loan now averages 4.16%, according to Freddie Mac, but many economists believe we will see 5% rates next year. As interest rates increase, so do your monthly payments. A $300,000 house at 4.16% with 20% down would have a monthly payment of $1,168. With a 5% interest rate, that payment increases to $1,288. As more houses enter the for sale market, prices stabilize. “Inventories are at their highest level in over a year, and price gains have slowed to much more welcoming levels,” said Lawrence Yun, Chief Economist at the National Association of REALTORS®. The upside is consumers now have more choices, if they are looking at existing homes. New homes are another story: Yun says new construction needs to double its current production to meet market demand. The median price of an existing home was $223,300 in June, or 4.3% higher than June 2013. That’s the 28th consecutive month of year-over-year price gains, and economists expect that trend to continue. However, we are still at least 20% off the peak prices of 2006. “Attempting to buy a home when the market is at its lowest point—or to sell at the peak—is tricky,” said Jonathan Smoke, Chief Economist for realtor.com®. He compares it to trying to time the stock market. If you live in a big city, then you know rent is astronomical. In San Francisco, many people are spending 42% of their monthly income to pay the rent. Nationwide, rents are rising at a 4% annual clip. It’s not unusual to see adults rooming together in expensive cities like New York, San Francisco and Chicago, but everyone needs his or her own space at some point. Buying a home would lock in your monthly payment and stabilize your finances with a fixed-rate mortgage. This is, of course, assuming you don’t live the San Francisco area, where the average price of a home is $1 million. Perhaps nothing is as important to the financial stability you need to buy a home as steady employment. The U.S. economy is finally adding jobs—about 200,000 new jobs per month. The next generation of home buyers—the Millennials—has been particularly affected by the nation’s job slump. Saddled with student loans and tight lending restrictions, many in this generation have been living with their parents to save money until the economy picks up. If your employment prospects look good these days and the other four factors check out, then it may indeed be the right time for you to buy a home of your own. Categories: Buying, Mortgage, Real Estate Advice | Tags: buying a home, FHA, today is a time to buy, VA | Permalink. After a tornado ripped through Air Force Tech. Sgt. 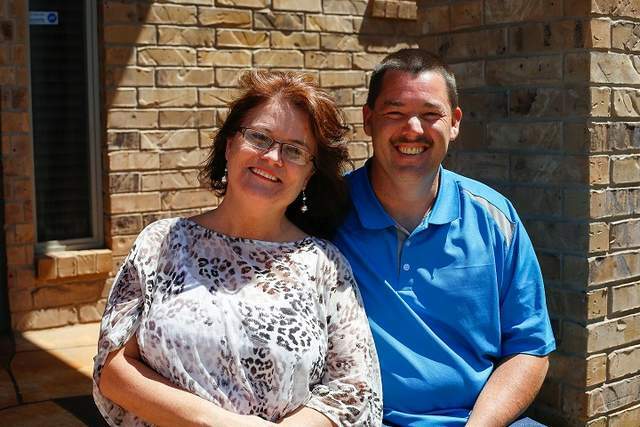 Rhonda Stockstill’s house in Moore, Oklahoma, in May 2013, she and her husband began the hunt for a new home, thinking they would go through their previous lender to get another VA home loan. That lender told them they would be better off going with a conventional loan that would saddle them with a $160,000 down payment and closing costs. The mortgage company “was making us jump through hoops. We were really discouraged,” Stockstill said. After about four months of trying to work with the previous lender, Stockstill found another, Veterans United, which helped the couple secure a Veterans Affairs-backed loan within about 30 days, with a far lower down payment and a lower interest rate than what their previous lender had quoted. The VA home loan program has guaranteed more than 20 million VA loans in the 70 years since its creation. Numbers fell during the middle of the last decade, coinciding with the rise in conventional loans to people who would not be approved now. But since the subprime mortgage bubble burst and credit rules have tightened across the industry, VA loans are back on the rise. In 2013, VA guaranteed the highest number of loans in the program’s history — 629,312. Yet it’s clear that there are misperceptions about the program. Son Nguyen, who heads the nonprofit Veterans Association of Real Estate Professionals, notes that there are 1.9 million active VA-guaranteed loans, but more than 1 million troops and 22 million veterans are eligible. Conventional loans may make more sense in certain circumstances, says Chris Birk, Veterans United’s director of VA loan education — like if you have excellent credit, sizable assets and plenty of cash for a 20 percent down payment. But the reality is, for many service members, the VA home loan program is the most advantageous, Birk said — a benefit that can save money for military and veteran homeowners. And its features were designed not only to put veterans in a home, but to make sure they can repay the mortgage and stay in it, said Mike Frueh, director of VA’s Loan Guaranty Service. What’s more, VA has improved the program to make its part of the loan process faster, easier and more transparent. Like the Stockstills, some veterans encounter lenders and real estate agents who try to steer them away from their VA home loan benefit, for a variety of reasons, many of which are misperceptions. Some reminders, little-known facts and tips: ■ Active-duty troops as well as veterans who have left the service qualify, regardless of whether they served in combat. About 17 percent of VA loans went to active-duty troops in 2013. ■ The benefit never expires and can be used multiple times. ■ The VA home loan is the only major type of loan that does not require a down payment as long as the sale price doesn’t exceed the appraised value; 89 percent of VA loans are made without a down payment. In essence, the VA’s guarantee takes the place of a down payment. ■ The program doesn’t require private mortgage insurance, an extra monthly expense when a borrower is not making a down payment of at least 20 percent. A down payment of 20 percent on a $200,000 loan would be $40,000. “By not spending that $40,000, veterans have money in their pockets to take care of unforeseen circumstances,” Frueh said. ■ Veterans usually can get their VA Home Loan Certificate of Eligibility within seconds at www.ebenefits.va.gov. But the lender often can do that for you. In 2013, 463,303 electronic certificates of eligibility were issued. ■ VA does not require a minimum credit score. Instead, the requirements are based on whether a borrower can repay the loan. However, lenders do impose additional requirements for credit scores. “Our minimum credit score is typically 620,” said Veterans United’s Birk. “Generally speaking, 620 is a pretty good barometer. That falls into the ‘fair’ [category], which is a step below ‘good.’ And it’s about 100 points lower than credit scores needed for a conventional loan.” “There’s great misperception that you need sterling credit to use this program. But it was created to level the playing field,” Birk said – to help veterans who may not otherwise qualify for mortgages. ■ Veterans generally pay a funding fee of 2.15 percent of the purchase price for a VA loan. For example, with no down payment for a $200,000 loan, a funding fee of 2.15 percent equals $4,300. For those who were or are in the National Guard or reserves, the funding fee is 2.4 percent. The fee is reduced for those who make down payments of 5 percent or more. ■ Some VA borrowers don’t pay the funding fee at all. They include veterans receiving VA compensation for a service-connected disability or those eligible to receive it if they weren’t receiving retirement or active-duty pay, and surviving spouses of veterans who died in service or from a service-connected disability. The VA also has limitations on what lenders can charge borrowers for a loan, to make sure the veterans don’t pay unnecessary fees, Frueh said. Conversely, the VA allows a seller to pay up to 4 percent of certain closing costs, including the paying the VA funding fee. ■ VA doesn’t lend money; it guarantees the loans made by about 1,500 commercial entities such as banks, credit unions and mortgage companies, although the top 11 lenders account for about half of all VA loans. Lenders, not VA, set interest rates, discount points and closing costs, and the rates likely vary among lenders. It’s best to shop around. But overall, average interest rates on VA loans trend even a little lower than those on conventional loans, Birk said. ■ VA home loans can be used to buy a home or a condominium unit in a VA-approved project; to build a home; to simultaneously purchase and improve a home; to buy a manufactured home and/or lot; and to make energy-efficient improvements. ■Veterans can use their VA home loan benefit multiple times. ■ The guarantee limits vary depending on the geographic area, based on the median home price. Generally, the limit is $417,000, but can range up to $1,094,625 in higher cost areas. This is not aloan limit — you can buy a more expensive house, as long as you can handle a down payment of 25 percent of the difference. For example, if the guarantee limit in your area is $417,000 and the house you want costs $500,000, it’s yours if you can pay $20,750 — which is 25 percent of the $83,000 diference – as a down payment. ■ The key is to work with real estate agents and lenders who have worked with VA loans. Tell them upfront that you’re a veteran. Ask questions about how many VA loans they’ve worked with. If the agent isn’t experienced and informed, it could cost you money and time, said Lorraine Santirosa, a real estate agent with Keller Williams SD Metro in San Diego. It could cost you time especially in finding a condominium, because condos must be VA-approved, she said, in order for the buyer to qualify for a VA loan. And if a lender doesn’t understand the rules and details of VA loans, “it could cause the deal to fall apart, or put the veteran in a loan at a higher interest rate.” ■ Do your own research at www.benefits.va.gov/homeloans, or call toll free 877-827-3702. For example, one veteran said he was told he had to have $2,000 or less in debt to qualify, but that is not a VA requirement for a home loan. Armed with knowledge, you can shop around for another lender. ■ VA allows veterans to lower their interest rate by refinancing their existing VA home loan, either through their current lender, if that lender agrees, or through any VA lender. ■ VA’s requirements help ensure that veterans have the financial ability to make their payments and stay in their homes — a major reason why VA loans have the lowest foreclosure rate among loan types, including FHA and conventional. Another reason, Frueh said, is that VA has about 150 staff members nationwide “whose sole job is to help veterans who are behind on their mortgage find a way to become current.” Last year, he noted, VA helped almost 74,000 veterans resolve their delinquencies and in most cases, keep their homes. Categories: Buying, Honolulu, Military, Mortgage, Real Estate Advice | Tags: 808, 808 Oahu Realtor, 96706, 96707, 96789, Affordable Housing in Hawaii, Affordable Housing in Pearl City, Affordable Housing on Oahu, Aiea, Amazing Honolulu Hawaii Homes, Apply for a VA loan, Armando, Army, buying a home, buying in Ewa BEach, Buying in Kapolei, can I use my VA loan, Certificate of Eligibility, closing, COE, Cost Guard, Ewa Beach Real Estate, FHA, Find a Lender, first time home buyers, flip, flip this house, flipping, Guard, HAFA, hawaii, Hawaii Life, Hawaii Real Estate, HGTV, HiLife, Home buying in Hawaii, housing finance agency, How to get a VA Loan, Interest Rates, kam drive inn, Kapolei Real Estate, Loan Modafications, Loan Processing, Marine, Marine Core, Mililani, Military, Mortgage, Navy, Oahu, packing, Pearl City, Peral Ridge, Power Teams, real estate tips, real-estate, realtor.com, refinance, Rehabbing, rehabs, renting, REO, Requirements for a VA Home Loan, Retired, retired arm forces, retired military, Ryan riggins, Ryan Riggins RA, S&P, selling, Short sales, sold, Staging your home, US Military, USDA, VA, Va Buying in Ewa Beach, Va Buying in Hawaii, Va Buying in Kapolei, VA buying process, Va loan Aplication, VA Loans, VA Option Clause, VA program Affordable Housing in Aiea, Vetrans United, zillow.com Air Force, zillow.com Divorce | Foreclosure Prevention | Foreclosure Trends | General | Legal | Mortgage Modification | Real Estate Investing | Real Estate News | Retirement | Scam Alert | Short Sale | Special R | Permalink. With Rates & Prices on the Rise, Do You Know the True Cost of Waiting? Let’s say you’re 30 and your dream house costs $250,000 today, at 4.41% your monthly Mortgage Payment with Interest would be $1,253.38. But you’re busy, you like your apartment, moving is such a hassle…You decide to wait till the end of next year to buy and all of a sudden, you’re 31, that same house is $270,000, at5.7%. Your new payment per month is $1,567.08. The difference in payment is $313.70 PER MONTH! That’s like taking a $10 bill and tossing it out the window EVERY DAY! * That’s your morning coffee everyday on the way to work (Average $2) with $12 left for lunch! * Stressed Out? How about 3 deep tissue massages with tip! * Need a new car?You could get a brand new $22,000 car for $313.00 per month. Let’s look at that number annually! Over the course of your new mortgage at 5.7%, your annual additional cost would be $3,764.40! Had your eye on a vacation in the Caribbean? How about a 2-week trip through Europe? Or maybe your new house could really use a deck for entertaining. We could come up with 100’s of ways to spend $3,764, and we’re sure you could too! Over the course of your 30 year loan, now at age 61, hopefully you are ready to retire soon, you would have spent an additional $112,932, all because when you were 30 you thought moving in 2014 was such a hassle or loved your apartment too much to leave yet. Or maybe there wasn’t an agent out there who educated you on the true cost of waiting a year. Maybe they thought you wouldn’t be ready, but if they showed you that you could save $112,932, you’d at least listen to what they had to say. Categories: Buying, Honolulu, Mortgage, Real Estate Advice | Tags: 808, 808 Oahu Realtor, 96706, 96707, 96789, Affordable Housing in Hawaii, Affordable Housing in Pearl City, Affordable Housing on Oahu, Aiea, Amazing Honolulu Hawaii Homes, Apply for a VA loan, Armando, Army, buying a home, buying in Ewa BEach, Buying in Kapolei, can I use my VA loan, Certificate of Eligibility, closing, COE, Cost Guard, Ewa Beach Real Estate, FHA, Find a Lender, first time home buyers, flip, flip this house, flipping, Guard, HAFA, hawaii, Hawaii Life, Hawaii Real Estate, HGTV, HiLife, Home buying in Hawaii, housing finance agency, How to get a VA Loan, Interest Rates, kam drive inn, Kapolei Real Estate, Loan Modafications, Loan Processing, Marine, Marine Core, Mililani, Military, Mortgage, Navy, Oahu, packing, Pearl City, Peral Ridge, Power Teams, real estate tips, real-estate, realtor.com, refinance, Rehabbing, rehabs, renting, REO, Requirements for a VA Home Loan, Retired, retired arm forces, retired military, Ryan riggins, Ryan Riggins RA, S&P, selling, Short sales, sold, Staging your home, US Military, USDA, VA, Va Buying in Ewa Beach, Va Buying in Hawaii, Va Buying in Kapolei, VA buying process, Va loan Aplication, VA Loans, VA Option Clause, VA program Affordable Housing in Aiea, Vetrans United, zillow.com, zillow.com Air Force, zillow.com Divorce | Foreclosure Prevention | Foreclosure Trends | General | Legal | Mortgage Modification | Real Estate Investing | Real Estate News | Retirement | Scam Alert | Short Sale | Special R | Permalink. Chop! Chop! We have 4 months left with with the current eligible areas for the USDA Rural Loan Program. For your clients with little or no money for a down payment, this is the perfect loan program for them. Files with accepted offers should be submitted on or by 09/01/2014 in order to make to USDA by 10/01/2014. It will be a privilege to assist you to home ownership. Please contact me for more information or any questions you may have. Categories: Buying, Honolulu, Mortgage, Real Estate Advice, Selling | Tags: 808, 808 Oahu Realtor, 96706, 96707, 96789, Amazing Honolulu Hawaii Homes, Armando, Bank of Hawaii, buying a home, Ewa Beach Real Estate, First Hawaii Bank, flip, flip this house, flipping, HAFA, hawaii, Hawaii Life, HGTV, HiLife, Home street Bank, Honolulu Home Loans, housing finance agency, investing, Kapolei, Kapolei Real Estate, Loan Modafications, looking to sell, Mann Mortgage, Mililani, Mortgage, Oahu, packing, Power Teams, real estate tips, real-estate, realtor.com, refinance, Rehabbing, rehabs, REO, Retired, retired arm forces, retired military, Ryan riggins, Ryan Riggins RA, selling, Short sales, sold, Staging your home, VA, Vetrans United, zillow.com | Permalink. Hawaii is well represented in OpenTable’s Top 100 Best Outdoor Dining Restaurants in America. The online service compiled the list based on more than 5 million restaurant reviews collected from verified OpenTable diners between May 1, 2013, and April 30, 2014. Categories: Buying, Mortgage, Oahu Weekely Open House Report, Real Estate Advice, Selling, Success Story's | Tags: 808, 808 Oahu Realtor, 96706, 96707, 96789, Amazing Honolulu Hawaii Homes, Armando, buying a home, dinner, dinner in hawaii, Ewa Beach Real Estate, Ewa Beach Restaurants, flip, flip this house, flipping, HAFA, hawaii, Hawaii Life, hawaii restaurants, HGTV, HiLife, housing finance agency, investing, Kapolei, Kapolei Real Estate, Kapolei Restaurants, Loan Modafications, looking to sell, Mililani, Mortgage, Oahu, packing, Power Teams, real estate tips, real-estate, realtor.com, refinance, Rehabbing, rehabs, REO, restaurants, Retired, retired arm forces, retired military, Ryan riggins, Ryan Riggins RA, Short sales, Staging your home, zillow.com | Permalink.